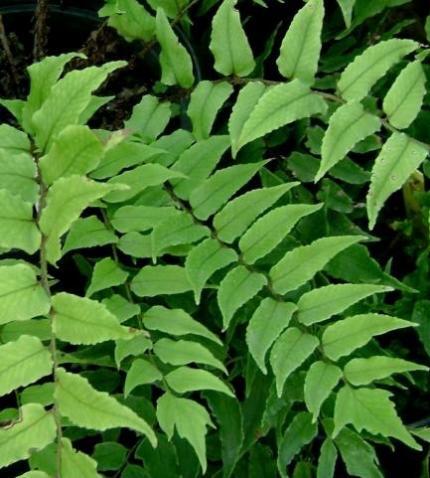 Evergreen fronds of leathery mid green leaves on black stems arching outwards. Semi shade to shade and moist or rich soil. 75cm tall. tolerates breezy sites.